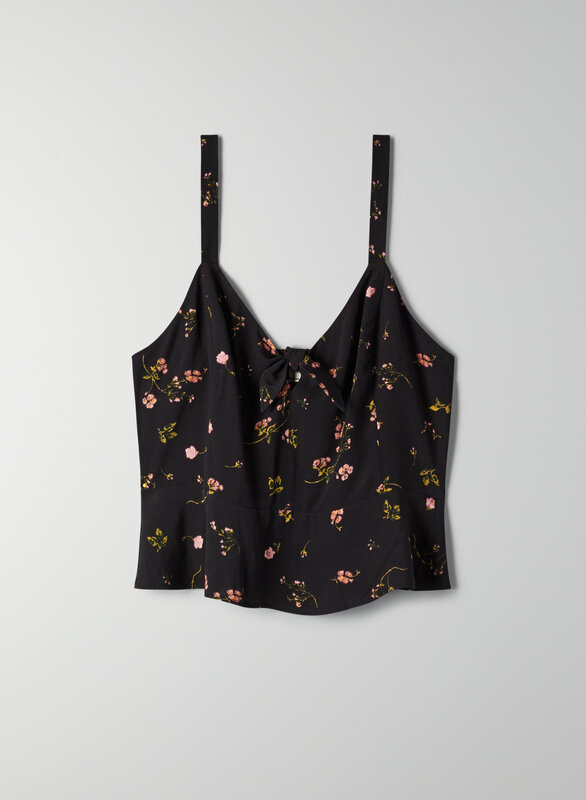 You're fresh in vintage country floral. 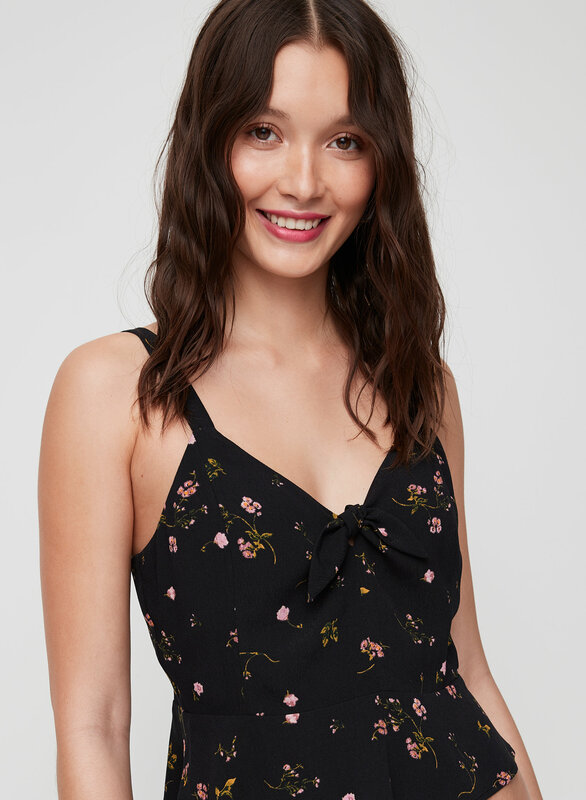 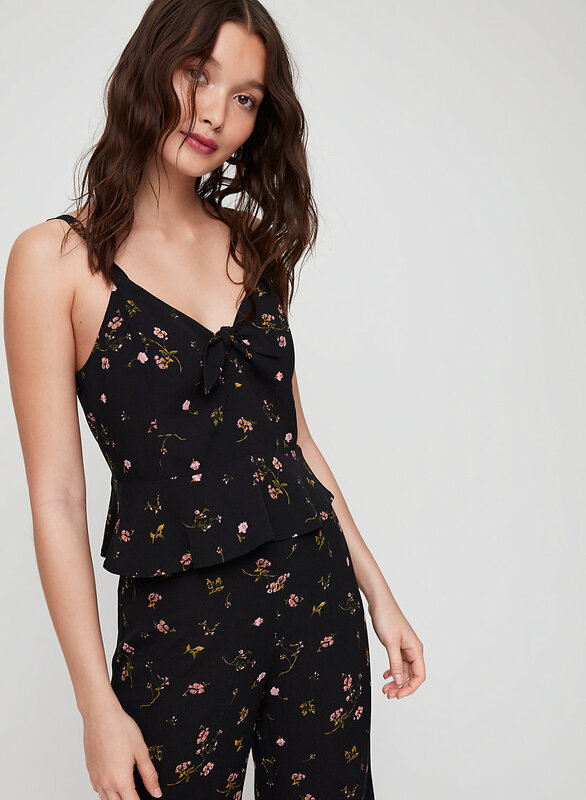 This is a tie-front peplum top with a sweetheart neckline, smocked elastic back, princess seams on the bodice and a keyhole opening at the front. 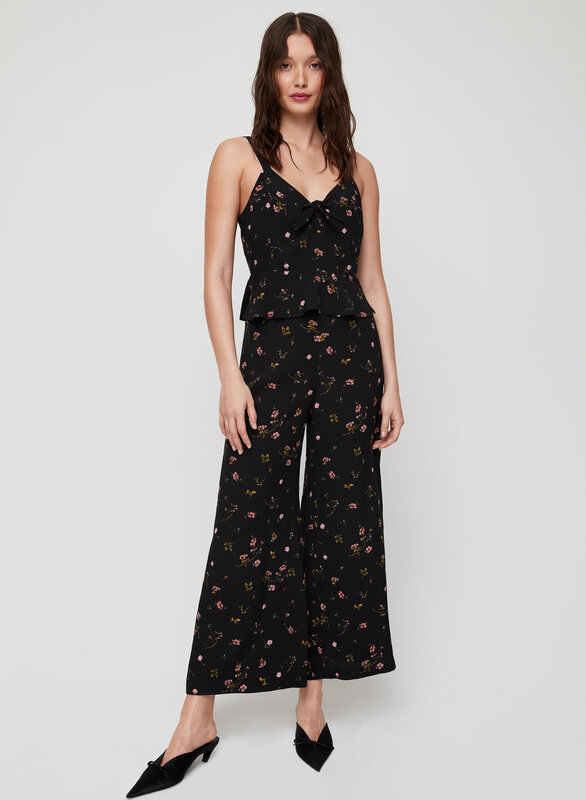 It's made with a lightweight pebbled fabric.